Something Wicked This Way Comes: Magic, Witchery, and Giveaways! It's only the 20th of September, but with leaden gray skies raining over aging foliage, Halloween feels early this year! ​My sisters, Margaret and Calico, and I were invited to be a part of Bushor Photography's annual Halloween series, playing the Weird Sisters from Macbeth, a part too good to pass up! We'll be one set among many in her series this year and though the pictures won't be released until October, here's a sneak peak from our shoot. Be sure to check out Bushor Photography on Facebook and their website for more spooky fun this October. 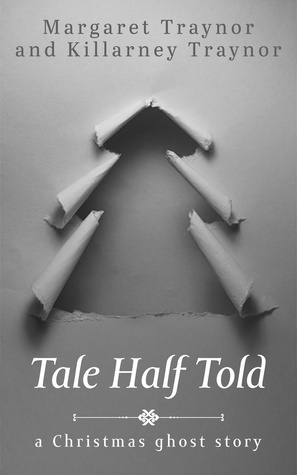 In further celebration of the season, my sister and I are giving away two copies of Tale Half Told in a Goodreads giveaway, ending, you guessed it, on Halloween - in plenty of time to read before Christmas! Be sure to sign up now for your chance to win!